KUWAIT: Director of the public authority for disabled affairs Dr Shafiqa Al-Awadhi said that in collaboration with the interior ministry, article 63 of law 8/2010 pertaining the rights of the disabled will be strictly enforced effective January 1, 2017. 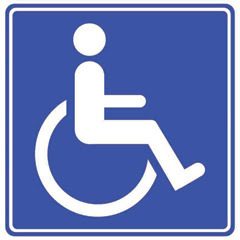 Awadhi explained that the article states that “Those using disabled parking spaces will be punished by a maximum of one month imprisonment and/or a KD 200 fine”. Awadhi urged all disabled people to immediately renew their cards and make sure the ones they have are valid in order to avoid problems with the traffic police. In related news, the Interior Ministry announced yesterday that four expatriate drivers were deported for driving without a license, after they were caught during crackdowns carried out by the traffic department. The campaigns took place from November 27 to December 3, resulting in issuing 33,012 traffic tickets, 885 vehicles were impounded and 53 persons were jailed for committing grave violations. ---Highly doubtful anyone will be jailed considering people who murder others are let off on 'technicalities' which is a shame. What is really shocking is the information regarding the leading group of people committing crimes are Kuwaiti citizens! If you read the news daily you will see the most common word used is "acquitted" meaning most of them get off with a slap on the wrist or signing a pledge saying they won't repeat the offense, seriously?